As was said during the Q3 rankings which marked its debut, “Swift is a language that is going to be a lot more popular, and very soon.” Even so, the growth that Swift experienced is essentially unprecedented in the history of these rankings. When we see dramatic growth from a language it typically has jumped somewhere between 5 and 10 spots, and the closer the language gets to the Top 20 or within it, the more difficult growth is to come by. 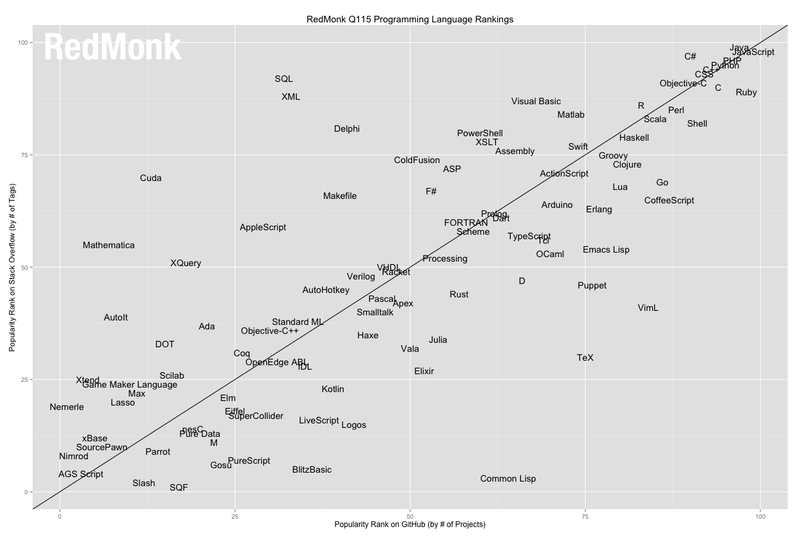 And yet Swift has gone from our 68th ranked language during Q3 to number 22 this quarter, a jump of 46 spots. […] Given this dramatic ascension, it seems reasonable to expect that the Q3 rankings this year will see Swift as a Top 20 language.